Adair is a raw milk cheese, aged a minimum of 60 days. It is about 5 inches in diameter and approximately 1.5#. 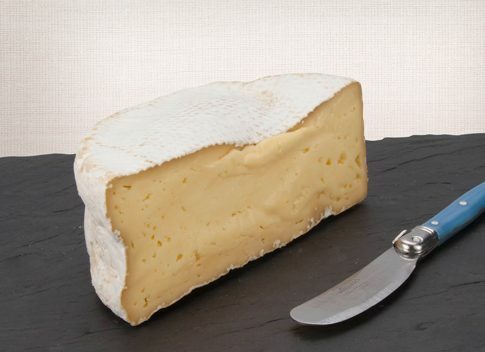 Modeled after farmstead cheeses from southeastern France, the Adair has a thin, orangey-yellow rind that is velvety soft. The cheese has a slightly lactic taste, and a sweet and earthy finish, that is the result of an all-grass diet. Priced at $25 for 1 lb, sold in 1/4 lb increments.